Keita is a Principal in Arthur D. Little’s Japan office. He has 15 years of management consulting experience, serving clients in a variety of industries and focusing on healthcare & life sciences. Keita is a Core Member of the Global Healthcare & Life Science Practice and a Member of the S&O Digital Competence Center. 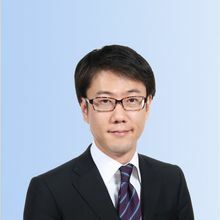 Since joining Arthur D. Little in 2015, Keita has supported various leading players in pharmaceutical, medical devices, medical ICT, and private equity on long-term R&D strategy, new-business development, scenario planning, go-to-market/product-launch strategy, organization transformation, business/technology due diligence, M&A/partnering, and BPR. Prior to joining Arthur D. Little, he was a Corporate Strategic Planner at a global pharmaceutical company and at Monitor Group (Deloitte Monitor), where he had begun his career as a Case Team Member. Keita is highly passionate about public relations, seminars, contribution to digital media, and networking with biotechs, healthtechs, medtechs, VCs, and academia.